LPL has tons of fun clubs that kids can join ranging from once a month to every week. Want to join a book club, build with LEGOs, hang out with friends? We’ve got a club for you! A club just for tweens! Meet up and hang out, play games, and craft with your friends. We always have the Wii and snacks, but different crafts and activities! Everything is awesome at Lego Club! 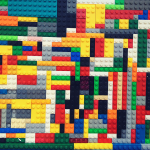 Build amazing LEGO creations to display at the Library! We have a different theme each month. What will this month’s theme be? 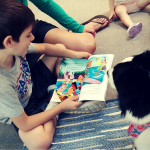 Practice reading and build reading confidence with a warm, furry friend from Loving Paws Animal Therapy. Bring your own book or choose one at the library. It’s the Jack and Annie fan club! Come along on our next adventure as we learn about science, history, and amazing places all around the world. Join us for crafts and fun with a historical twist about a different Magic Tree House book for each meeting! 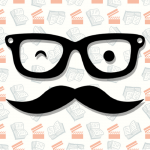 The Mysterious Mustache Book Club meets once a month to explore the world of a book together through discussion and activities. Depending on the book we’re reading, we’ll play games, do scavenger hunts, make art, do science experiments, and more! Past books include: A Wrinkle in Time, The Lightning Thief, Amulet, When You Reach Me, and more! Kidsapalooza is a rip-roaring good time for the 5 to 6-year-olds! We meet once a week in the summer months and do all sorts of activities, crafts, games including visits from special guests. Past Kidsapalooza’s include visits from Firefighters, playing frisbee on the Library Lawn, petting animals from the Topeka Zoo. Check in with us this summer for oodles of fun! Explore with us this summer! With programs ranging from kitchen building challenges, creating art with the Spence Museum of Art and a collaborative video project, Exploratorium is the perfect summer club for elementary aged kids! Meetings are once a week during June and July. Just like our Mysterious Mustache Book Club except WE ADD MOVIES! For the summer meetings we’ll watch the movie, then compare it to the book!